People often ask whether it is still possible to be buried in the cemetery. The answer is – maybe. It is possible, but not likely. On May 23, 1919, the Minneapolis City Council passed an ordinance that closed Layman’s (now Pioneers and Soldiers) Cemetery to future burials. They did so in response to a petition circulated by business owners and neighbors from the surrounding area who complained that the cemetery had become an eyesore and a health hazard. The burial ban went into effect on Aug. 1, 1919. The ordinance did not condemn the cemetery, which would have required disinterring the 27,000 people buried there, but simply said that no more could be added; there was enough misinformation and confusion about what the cemetery’s future that family members arranged for the removal of more than 5,000 people. More that 22,000 remain. The last person buried before the ban went into effect was 16-year-old Jessie Wethern who drowned on July 20, 1919, while swimming in Minnehaha Creek with three of her girlfriends. Jessie lived with her widowed mother at 4122 East Lake Street, not far from the cemetery, and that may have been why her mother chose to have Jessie buried at Layman’s on July 22, 1919, nine days before the ban went into effect. 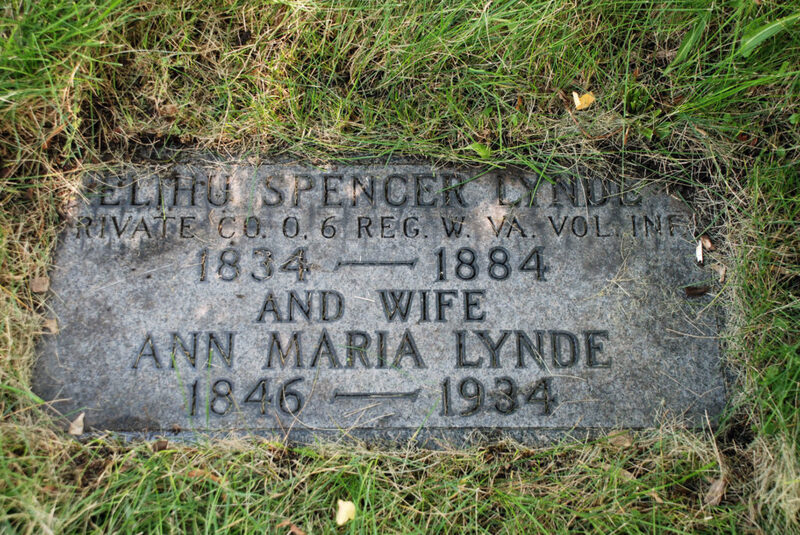 Fifteen years later, in 1934, the city council voted to make their first exception to the ordinance and allow Ann Maria Witherell Lynde to be buried next to her husband, Elihu Spencer Lynde. Mrs. Lynde died on Dec. 17, 1934, from heart disease at the age of 88. Her husband, a Civil War veteran, had died 50 years earlier, on April 30, 1884. Mrs. Lynde’s story was one of promises both made and kept. According to a story in the Minneapolis Star, she had appeared before members of the city council before they approved the ban on burials and had been promised that she could be buried next to her husband, a promise that her children assured her they would see fulfilled. 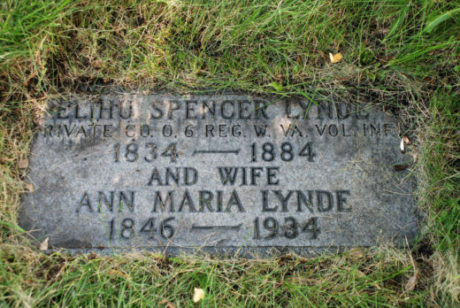 Ann Lynde was buried next to her husband on April 13, 1935. During their deliberations about whether or not to approve Mrs. Lynde’s request, council members worried that they would be opening the floodgates for similar requests. That did not happen: only 83 adults were buried after that date. Those requests were all approved by the city council for people who already owned plots in the cemetery (not sold since at least 1919) and who had at least one relative buried there. The majority of people buried after 1919 were, as might be expected, elderly. They were widows and widowers or the adult sons and daughters of people already buried in the cemetery. In a handful of cases, they were parents who had lost young children decades earlier. Only two of those buried were in their 40s, one was in her 50s, and seven were in their 60s. The rest were in their 70s (27), 80s (35) and 90s (11). Most of them died from the same causes that people die from today: heart disease and cancer. What distinguishes them from those who had died earlier is that very few of them died at home. Most died in nursing homes and hospitals, reflecting a shift in thinking about caring for the dying. The most recent burial took place in 1999 when Mrs. Vesta Bachelder, widow of Richard Bachelder. Mrs. Bachelder died on May 22, 1999, from congestive heart failure. She was 93 years old. Her husband had been buried in the family’s plot 11 years earlier after he died from a stroke. Mr. Bachelder, was the great-grandson of Asa Clark Brown, one of the cemetery’s four War of 1812 veterans. Can you still be buried in Pioneers and Soldiers? Maybe. If your family bought a plot before 1919 and never used it, and you already have a relative buried there, you are eligible to be buried in the cemetery. The city council would need to approve the request (imagine their surprise when they learn they have that authority) and most likely would. So, the number of people who meet those conditions is small but there are people who meet them, including one of Friends of the cemetery’s board members. Thank you so much for doing this research, it is my favorite part of the Alley! Your hard work is so much appreciated! ps. Have you seen the young deer living in the cemetery? Thank you Sue! Love these stories. 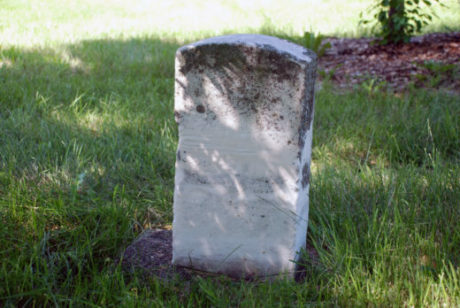 No word on my grave marker for Alice Matthews and her mother…will be a spring date!